Did you know we paint murals? Check out some of our recent wall murals . 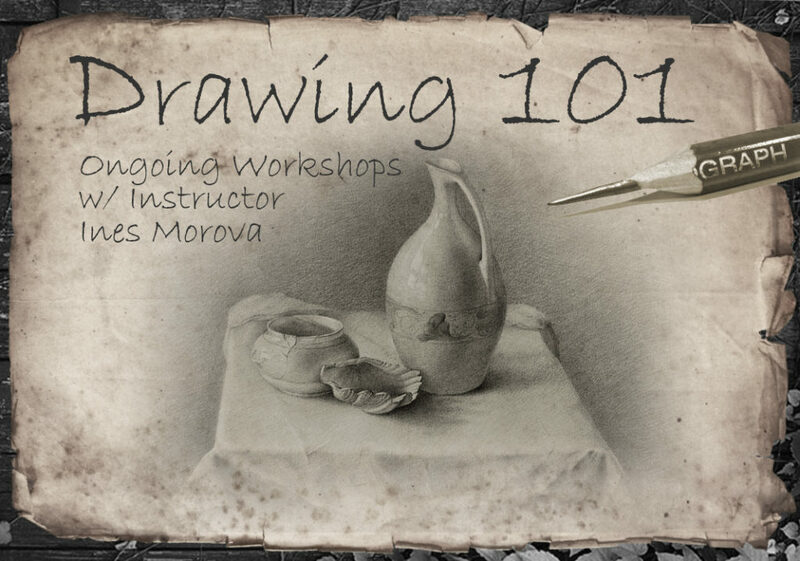 Studio 23 partners with The Bay Area Models Guild to bring you our 3-hour figure drawing session hosted by Yolanda Cotton-Turner. Fee: $20. Please RSVP and prepay. 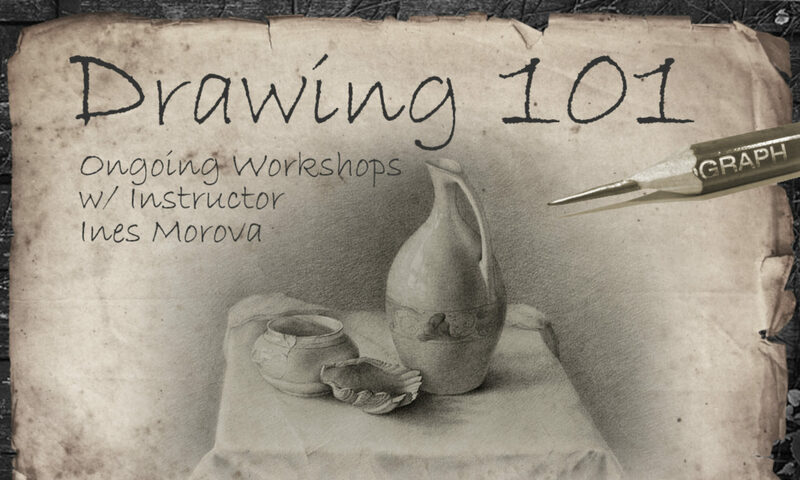 Limited space, so sign up now! If you experience any issues paying or are coming in last minute please text, 510-457-1420. Join us at 8:00PM to get a 2nd chance to see this intimate and moving performance. Each show changes slightly so you won’t see the same thing twice. Victor is lead to communicate with his audience by an inner intuitive guide along with energy he picks up from the crowd around him. A mix of humor and poetry are woven together with intimate stories from his past delivered as if you are sitting around a table with family and friends, speaking frankly with little to no inhibition. Stories about his father, his family, brief meaningful and random encounters with strangers fuel the heart of the message. His country Zimbabwe, politics, time spent in London and his art are just a few of the abstract concepts prompting the heart-felt connection given to his audience. I liken it to imagining what it would have been like to be in the presence of Van Gogh, Dali, Picasso or one of the greats clearly articulating the pain, joy, angst and passions that they live with and are able to transfer into creating their work. ‘Transference’ is a unique experience in Alameda that you won’t want to miss. We offer excellent graphic design and marketing services. Don’t miss another event: Get on our Mailing List! Get signed up now! 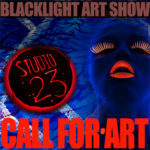 Submit your application to apply for our Blacklight Art Show & Night Market. Booth space is very limited so sign up now! Refunds: Available up until October 15th minus a $15 processing fee. Booths will be selected by the best fit for this show, booth presentation and lighting. Due to the high level of responses we may not be able to reach out to every applicant. Feel free to email us, make the subject “BLAS NIGHT MARKET” if you feel the need to follow up after you have submitted. You will be contacted via email by October 15th (or earlier) if your booth has been accepted. 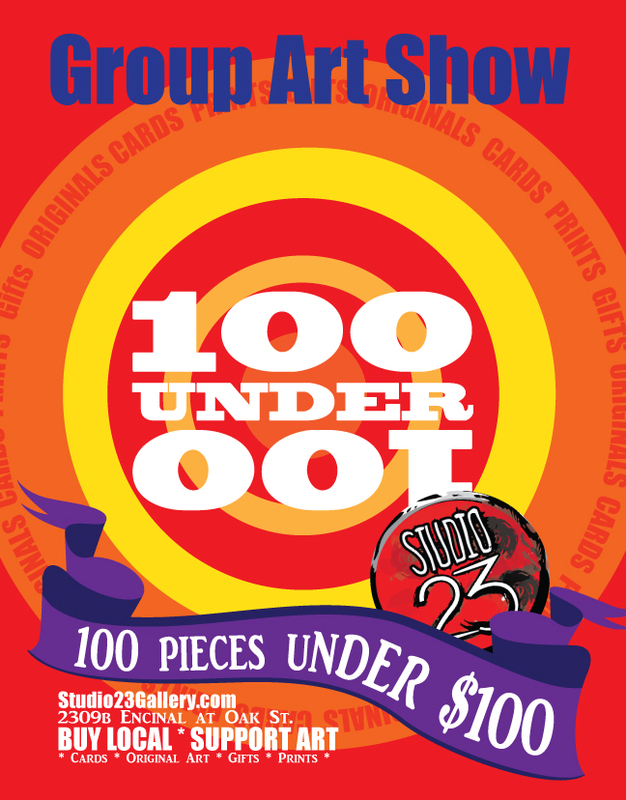 Support Studio 23 – Get a Magnet! Sign up for the Studio 23 newsletter. 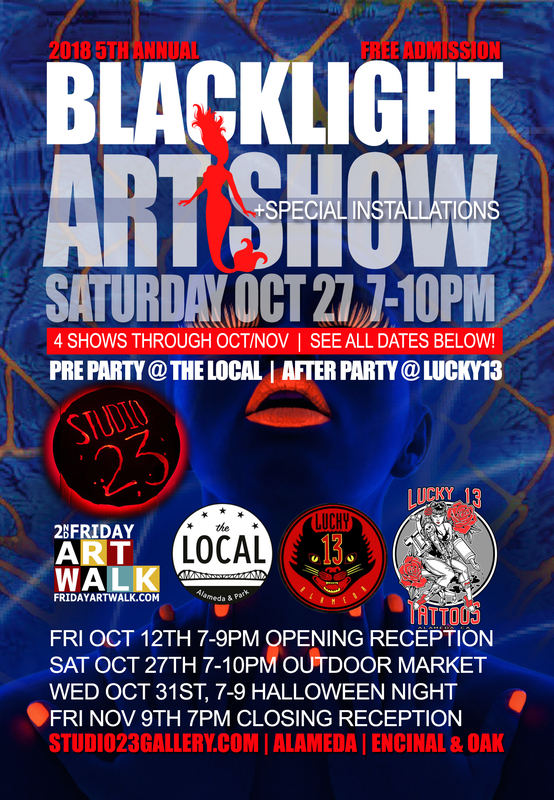 Get the low down 411 on all the cool art events happening at Studio 23 and environs. 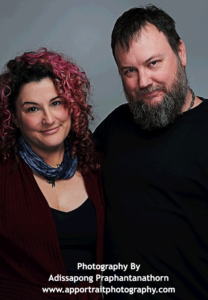 Studio 23 acts as a studio and workshop during the day for artists and owners, Jessica and Wesley E. Warren. 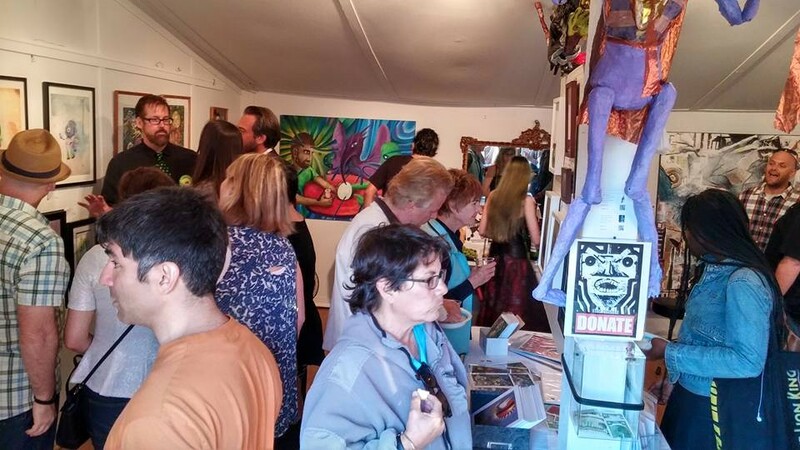 Once a month the Studio is open to the public and will feature work by local bay area artists. 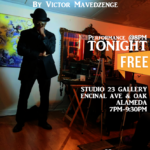 Artists and Co-Founder of Alameda Artist Group and Studio 23. The gallery’s mission is to support local artists; those that are already established and emerging artists new on the scene. The gallery will focus on unique, contemporary, experimental, and modern visual art as well as classic techniques with a fresh perspective. We also provide excellent design and promotion services. 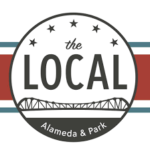 The Alameda Artists Group, a Bay Area artist collective with over 1500 members, regularly meet at Studio 23 for workshops and sketch groups. 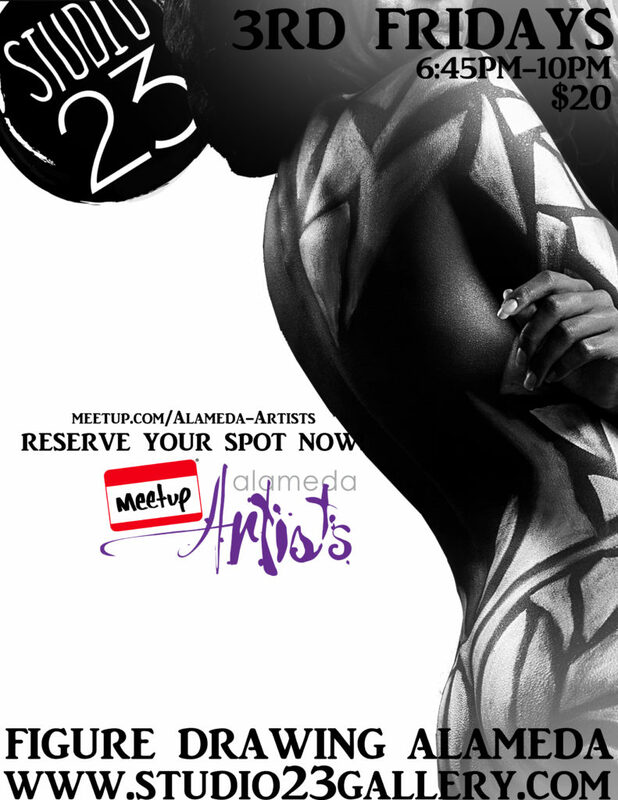 (http://www.AlamedaArtists.com). 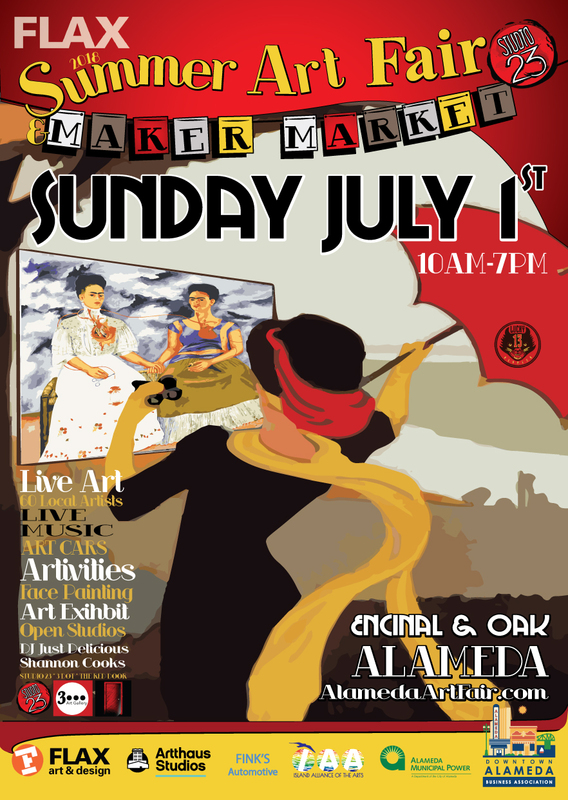 Most of the work on display will consist of work created by members of Alameda Artists Group. Many artists in the collective paint with traditional medium such as acrylic, oil, and watercolor, but we also have artists that paint with coffee, house paint, spray paint and other non-traditional medium. You may have seen the giant metal robot sculpture installation “Friendly Lord Zondar”, by artist Wesley Warren, now at “The Local Coffee Shop”. He was created with recycled metal and mechanical parts sourced from local scrap yards and urban ore. 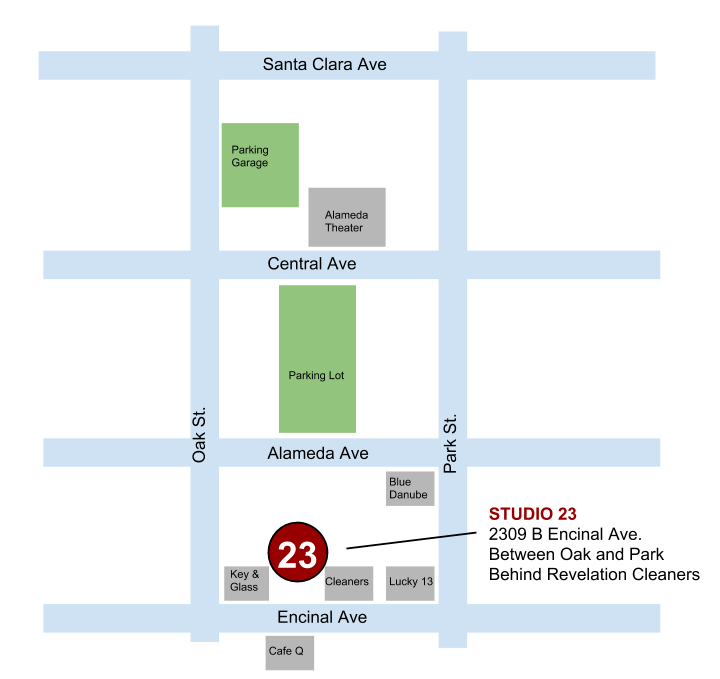 Studio 23 is hidden behind the old Alameda Lock and Glass building at 2309 B Encinal Ave. Just off Park St., between Oak and Alameda Ave. Right around the corner from Lucky 13. Regular gallery hours are second Fridays between 7:30 PM and 10:30 PM and for special events. 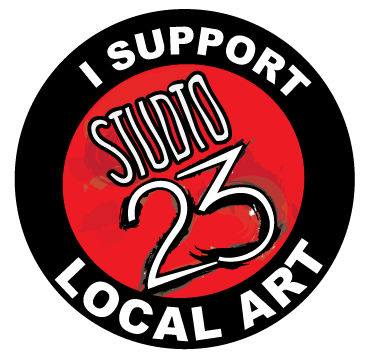 Studio 23 was founded in the summer of 2013. We are only open to the public on Second Friday evenings 7-9Pm and for special events! Email is the best way to reach us, or via Facebook messenger. 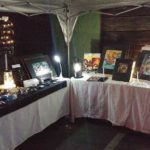 Location: Located on the corner of Oak Street and Encinal Ave. Across from the high school tennis courts, in the parking lot behind Revelation Cleaners and the old Lock and Glass building. 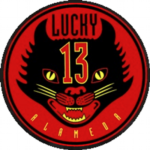 One block from Lucky 13.